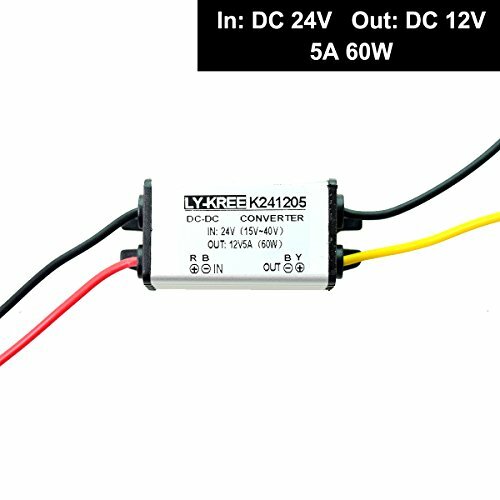 DC 24V to DC 12V Step Down Converter. (15-40V Wide Range Input) Max Current 5A 60W. The length of the line is about 12CM, slim, small volume, easy installation. High quality and performance. 3 Year Warranty. If you have any questions about this product by EKYLIN, contact us by completing and submitting the form below. If you are looking for a specif part number, please include it with your message.